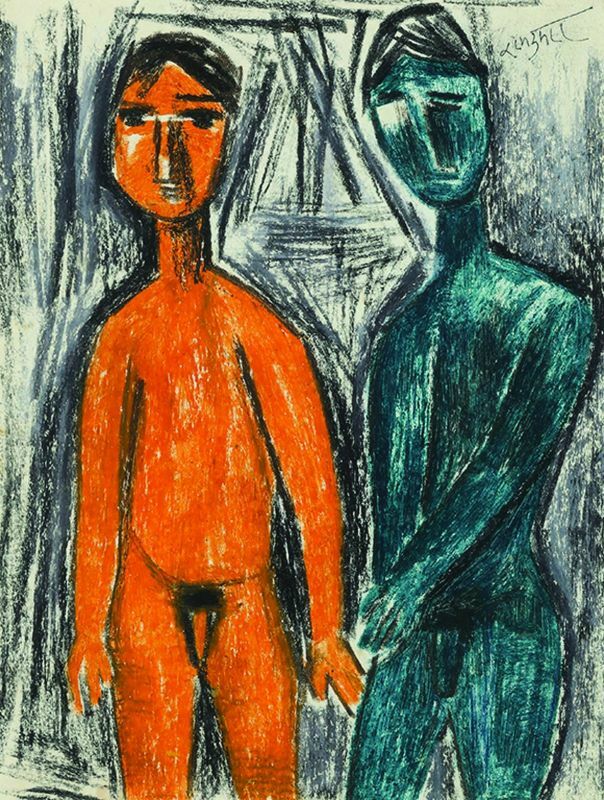 Saffronart hosted an exhibition in the memory of eminent Indian modernist Ram Kumar at its New Delhi gallery. The artist’s works have been part of important exhibitions worldwide, and he was awarded the Padma Bhushan in 2010. Born in Simla in 1924, Ram Kumar is among the first generation of postcolonial artists responsible for carving out a uniquely modern aesthetic in the canon of Indian art. From figures of alienated city-dwellers in the 1950s to the eventual move towards abstract landscapes, characterised by fragmented colour planes that evoked a meditative stillness, Kumar’s art carried a quiet poignancy. The artist’s works have been part of important exhibitions worldwide, and he was awarded the Padma Bhushan in 2010. Kumar, who was also a gifted writer, passed away on 14 April 2018 in the Capital. “Remembering Ram Kumar” features 63 works, ranging from the artist’s early figurative years to his lifelong exploration of Varanasi. “Ram Kumar was one of India’s most significant modernists, known for his quietly contemplative, lyrical works. Often abstract and untitled, the artist hoped that viewers would discover them and layer them with their own interpretations. He was strongly influenced by the places he visited, whether it was Benaras or Greece or Ladakh, and this engagement can be seen in the works on display - gradually evolving from specific representations to more abstract forms. Kumar was among the first generation of Indian modern artists, and played an important role in the development of the vocabulary of art in India,” says Dinesh Vazirani, CEO and co-founder, Saffronart. It also features works from across the artist’s career. Among the highlights are two paintings from his early figurative period –Vagabond, 1956, on loan from the Kiran Nadar Museum of Art, which depicts isolated individuals in front of a dark cityscape, and Composition, 1958, possibly inspired by Kumar’s exposure to the work of Modigliani in Paris. Homage to the Wasteland from 1961 represents the artist’s move towards abstraction, and a striking untitled landscape of Benaras, painted in 1981, portrays his recurring interest in the city. Another highlight of the exhibition is Untitled, 2011, a large oil on canvas diptych from the artist’s most recent abstract period. Dinesh goes on to say, “With this exhibition, we wanted to pay homage to a great artist who has been an important part of Saffronart’s journey. 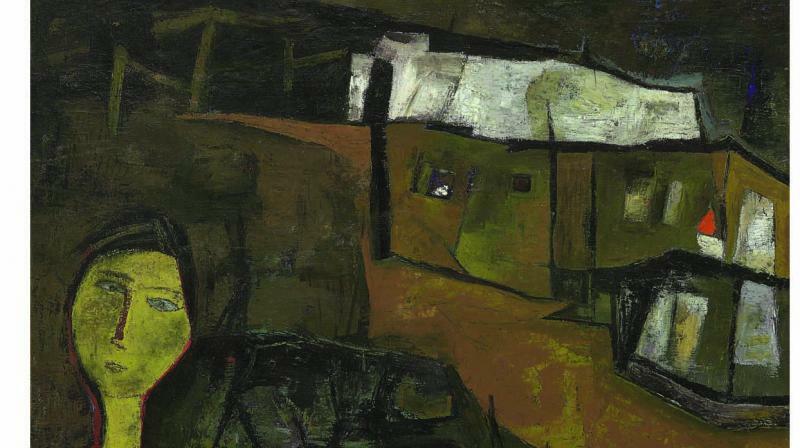 The selected works make for a comprehensive look at Ram Kumar’s oeuvre, and belong to various stages in his artistic practice, ranging from early figurative works and works on paper to landscapes and cities - among them his exploration of Benaras - as well as his more recent abstract period. Many of the works as well as archival materials and photographs were generously loaned to us for this exhibition, which is accompanied by a catalogue.” “We hope that the exhibition will appeal to both collectors and enthusiasts, and provide a glimpse into the various styles within Ram Kumar’s practice,” says Vazirani. Saffronart is an international auction house, which was founded in 2000 by Minal and Dinesh Vazirani, has India’s most reputed name, with over two hundred auctions to its credit. “My favourite works by Ram Kumar are his paintings of Varanasi,” he quotes on a conclusive note.